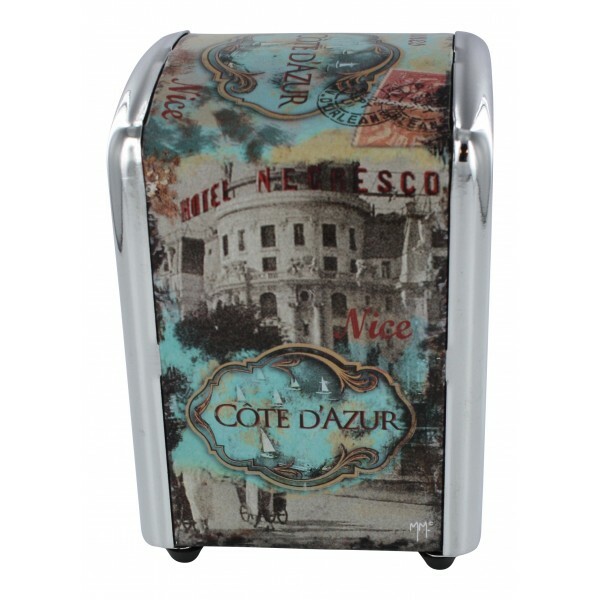 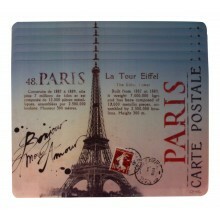 - Napkins dispenser with a French design featuring old pictures of French Riviera. 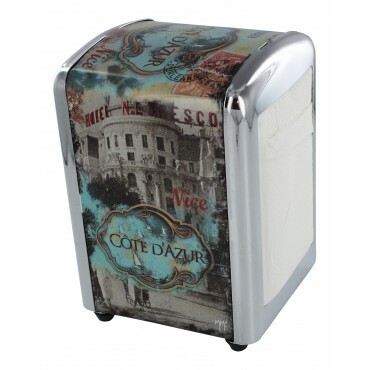 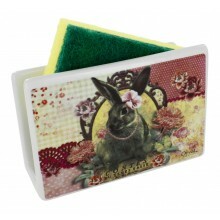 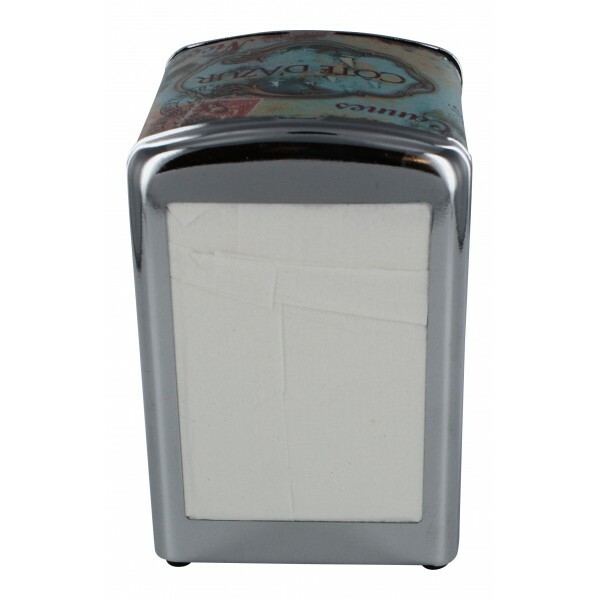 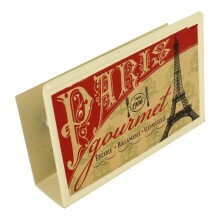 Enjoy the French Riviera on this napkins dispenser! 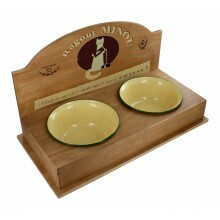 Cat feeding bowls - French vintage design "Ragout Minou"
Sponge Holder "Contes du temps passe"